This article analyses the interface between political globalization, citizenship and security threats in Africa. Political globalization is assumed to be capable of engendering inclusive citizenship; in the same way, citizenship is considered to be central to the national question in Africa.  It is around citizenship that most issues of human rights revolve, both at individual and group levels. 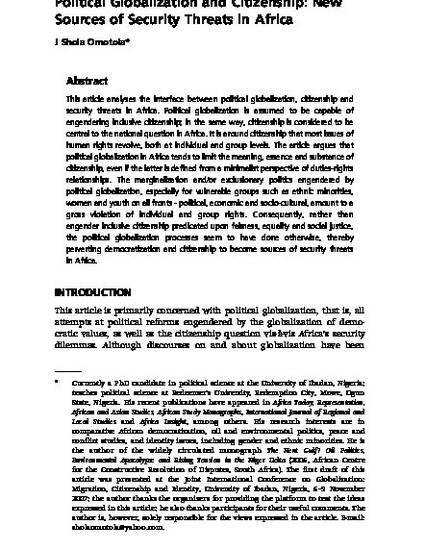 The article argues that political globalization in Africa tends to limit the meaning, essence and substance of citizenship, even if the latter is defined from a minimalist perspective of duties-rights relationships. The marginalization and/or exclusionary politics engendered by political globalization, especially for vulnerable groups such as ethnic minorities, women and youth on all fronts - political, economic and socio-cultural, amount to a gross violation of individual and group rights. Consequently, rather than engender inclusive citizenship predicated upon fairness, equality and social justice, the political globalization processes seem to have done otherwise, thereby perverting democratization and citizenship to become sources of security threats in Africa.